Study architecture and a good college curriculum will prepare you for anything. Accredited programs of architecture will center around practicing design and building things. If it doesn't, you'll be throwing away your money if you want to be a professional architect. 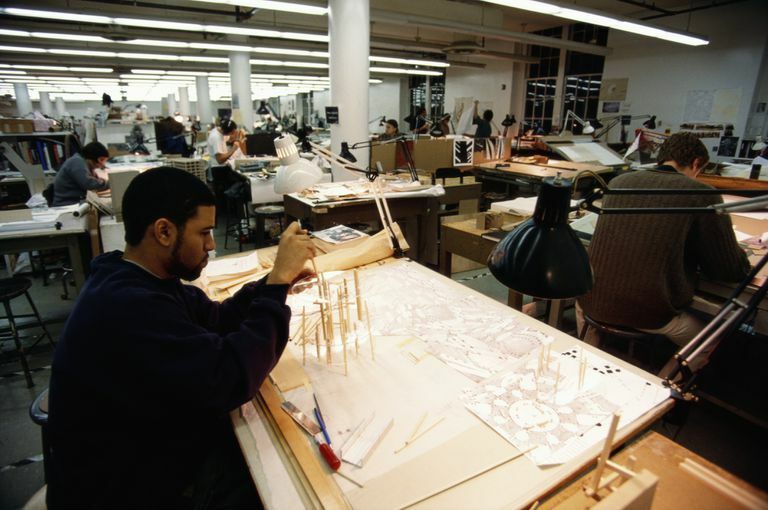 As an architecture student, you will study a broad range of subjects, including writing, design, graphics, computer applications, art history, mathematics, physics, structural systems, and building and materials construction. The best schools are not necessarily the schools with the best equipment and facilities but they employ the best teachers. And the best teachers of architecture are not necessarily the most famous architects in the world. The best teachers will teach these subjects without you even knowing how much you're learning. Architecture is the application of many subjects. 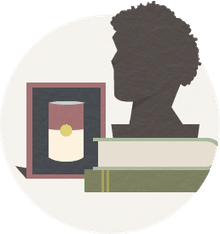 To get an idea of the specific classes you will take, spend some time browsing through the course listings, a sampling of which are usually listed online for many schools of architecture. Make sure that the courses of study have been accredited by the National Architectural Accrediting Board (NAAB). Dr. Lee W. Waldrep reminds us, however, that there are many routes to take to become an accredited architect. Which degree program you choose will determine what courses you take. "At most schools," he says, "enrolled students begin intensive architectural studies in the first semester and continue for the duration of the program. If you are highly confident in your choice of architecture as your academic major, pursuing a B.Arch. may be the ideal choice. If, however, you think you may not ultimately choose architecture, the five-year program is not forgiving, meaning that changing majors is difficult." At the heart of every architecture course of study is the Design Studio. It is not unique to architecture, but it is an important workshop to understand the process of planning, designing, and building things. Industries such as automobile manufacturing may call this building approach Research and Development as teams work together to create a new product. In architecture, the free expression of ideas, both design and engineering, is what drives collaboration in this important and practical course.
" Once you are in the studio sequence of a degree program, you will be taking design studio each semester, usually four to six credits. Design studio may meet between eight and twelve hours contact hours with the designated faculty and countless hours outside of class. Projects may begin in the abstract and deal with basic skill development, but they quickly progress in scale and complexity. Faculty members provide the program or space requirements of a given building project. From there, students individually develop solutions to the problem and present the results to faculty and classmates....Just as important as the product is the process. You will learn not only from the studio faculty but also your fellow students." Waldrep's book Becoming an Architect: A Guide to Careers in Design can mentor any aspiring architect through the complicated process of becoming an architect or even becoming a professional home designer. Some of the project assignments will be group projects and some will be individual projects. Some projects will be reviewed by professors and some by fellow students. The school should provide every student with a safe place to work on these projects. Every accredited school of architecture has a written Studio Culture Policy — a statement of what incoming students should expect and how their project work will be evaluated or "juried." For example, the policy at Princeton University School of Architecture outlines that each student will be provided "two 3’ x 6' work tables, two drafting lamps, one power strip, one task chair and one lockable steel cabinet;" that students should manage their time and avoid all-nighters to finish projects; and that critiques should "concentrate on clarity and consistency, as opposed to making judgments of value or quality." Criticism should be constructive and dialogue should be respectful. As long as a project has a clear idea or concept that can be defended, the student should be able to compete in the design studio atmosphere. The review process can be brutal, but follow the rules and the architecture student will be well-prepared when defending a design to a paying client in the real world. Critical thinking and problem solving are core strengths of the professional architect. The American Institute of Architecture Students (AIAS) continues to advocate for the fair and humane treatment of the architecture student. The AIAS regularly examines and monitors the design teaching methods of architecture programs. The Redesign of Studio Culture, a 2002 report put out by the AIAS Studio Culture Task Force, changed the culture of the studio culture, so every student knows what to expect. When students are researching prospective architecture programs, check out their curricula, design studio offerings, and policies that inform how the architecture program is run. The design studio experience is what everyone remembers and where lasting friendships are established. You don't want to miss it.